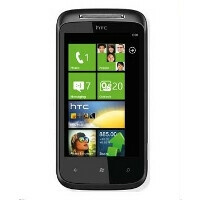 HTC Poland has confirmed that it will update at least the HTC Mozart, one of its first-gen Windows Phone handsets, to the newest WP 7.8, meant for single-core devices. Google Translate returns this as "yes, this model will receive the update," while previously in the correspondence HTC said to wait for it somewhere between the end of February and the beginning of March. You some kind of a ret@rd? You must have said the same thing when Android was starting out and perhaps now you're using it. As a fledgling OS, Windows Phone has nothing but GROWTH in its future. Best phone any phone company has ever made the Mozart.